Israeli leaders, lawmakers and diplomats lined up Tuesday to praise the United Nations ambassador to the United Nations, Nikki Haley, after she made a surprise announcement that she would step down from the post by the end of the year. 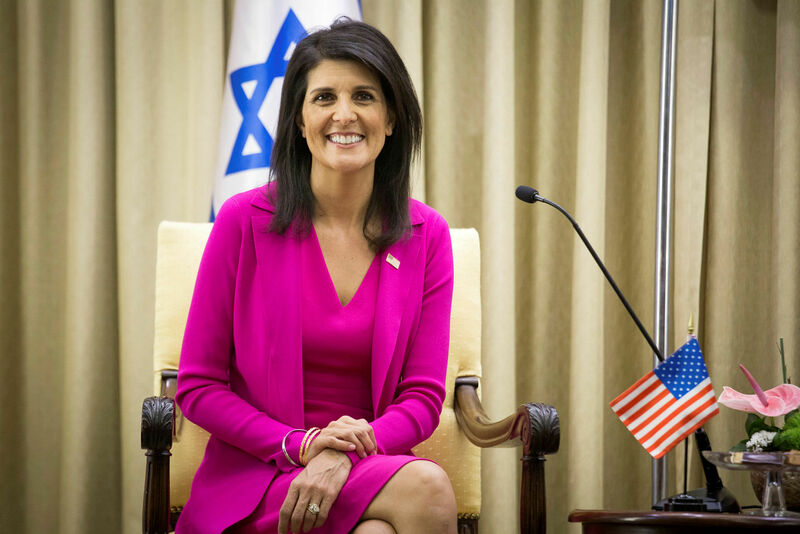 The 46-year-old former South Carolina governor has been a staunch supporter of Israel at the UN, constantly berating the global body for its anti-Israel bias. “I thank Ambassador Nikki Haley for leading an uncompromising struggle against the hypocrisy at the UN and on behalf of the truth and justice of our country,” said Prime Minister Binyamin Netanyahu. “I thank Ambassador Haley for her courage and for a term of office that will be remembered as a turning point in the relations between the US and international organizations, and the discriminatory stance that these organizations have taken Israel on more than one occasion,” Rivlin said. “Thank you for your support for the State of Israel, which helped lead to a change in Israel’s status in the UN,” Danon said.